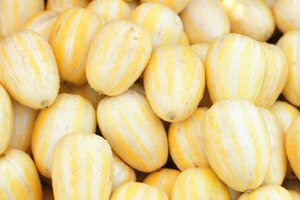 As a part of the gourd family which includes pumpkin, squash and cucumber, cantaloupe is also grown on the ground. 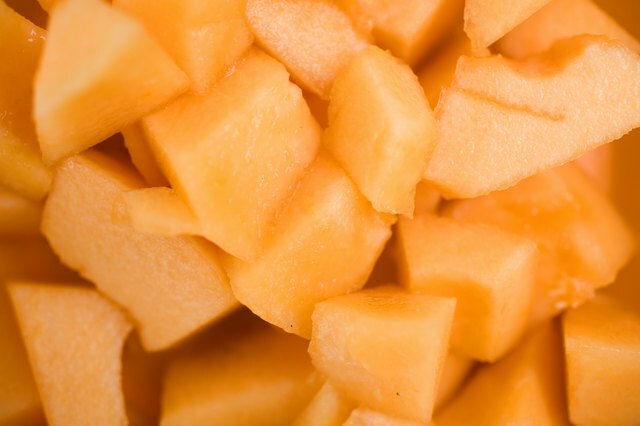 Cantaloupe is nutritionally high in Vitamins A and C as well as high in potassium. 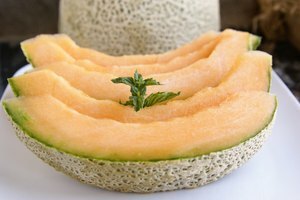 Wash cantaloupe thoroughly before cutting because its bumpy skin can harbor bacteria. 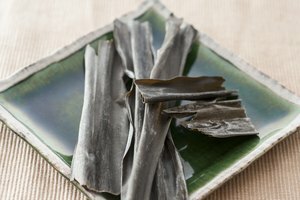 Remove the flesh completely from the rind and cut into chunks to make it easier to eat. Sometimes the cantaloupe is not as sweet as you may want it, but this can be fixed. Put the cantaloupe pieces into a airtight container. Sprinkle sugar or sugar substitute onto the cantaloupe. Toss the cantaloupe gently with the sugar until it has been evenly distributed. Try a piece of cantaloupe. If it still needs to be sweetened, sprinkle more sugar and toss the cantaloupe again. 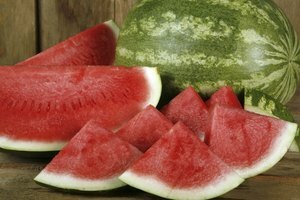 Place the container of cantaloupe in the refrigerator for up to five days. If you don't want to sweeten the entire container of cantaloupe, sprinkle sugar on an individual serving just before it's eaten.